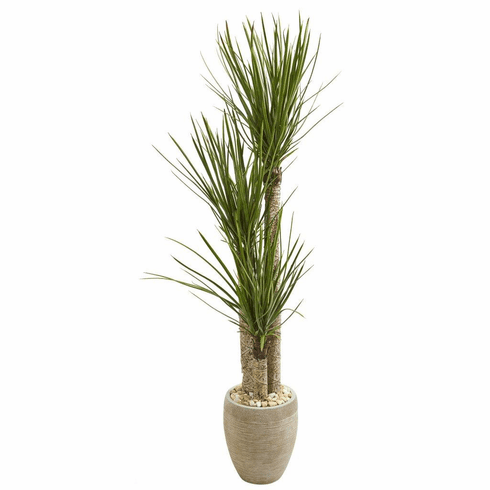 Standing in a sand colored planter with white river rocks, the 64-inch yucca artificial tree closely resembles the real thing with its sharp green foliage and three thick stems. When added to indoor plant arrangement, it’ll complement the other artificial greenery and flowering plants in the set. Height: 64 In., Width: 23 In., Depth: 23 In., Color: , Pot Size: H: 12 In. W: 11 In. D: 11 In.